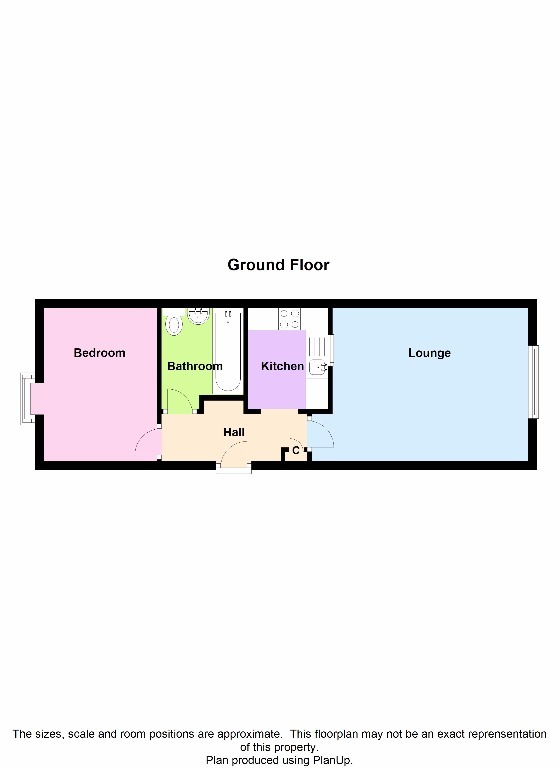 The accommodation comprises of an entrance hallway with storage cupboard, large bright lounge, good sized double bedroom, modern kitchen with a range of floor and wall mounted units. The bathroom has a three piece suite, comprising WC, wash hand basin and bath with electric shower. The property has been recently freshly painted in neutral colours throughout, has laminate flooring in the hallway, lounge and bedroom and tiled flooring in the kitchen and bathroom.